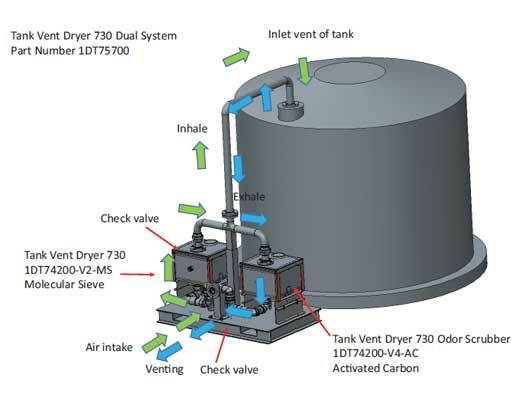 Carbon Odor Scrubber - Drytech Inc.
As pressure, temperature, or fluid level changes occur, a storage tank or reservoir will breathe in or out. During this breathing, particulates, hydrocarbons, caustic vapors, and odors can be ingested/exhaled into a tank or reservoir. A typical tank or reservoir will use a vent cap, turn down pipe (goose neck), or pressure relief vent at the top of the tank. These types of vent caps are used solely to prevent bugs or rain from directly entering the tank. With this type of protection, ambient atmospheric wet air will enter the tank or reservoir during tank emptying. To protect the tank contents from moisture entering the tank, a DRYTECH Tank Vent Dryer should be used. 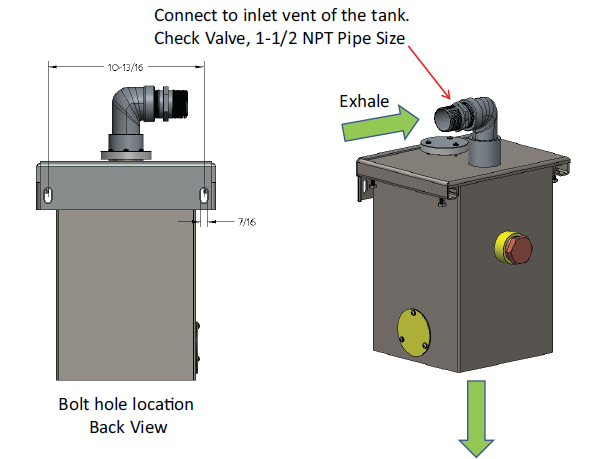 During exhale (tank filling), air will flow out of the tank and out of the tank vent pipe. In many cases, harmful chemical vapors, hydrocarbons, and odors will be present during this exhale cycle. 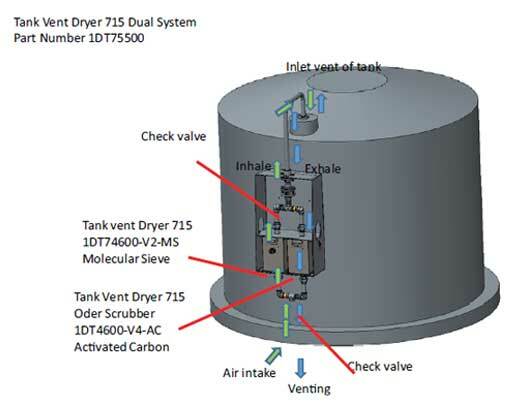 In order to prevent these harmful vapors from venting to atmosphere, a DRYTECH Tank Vent Odor Scrubber should be used. 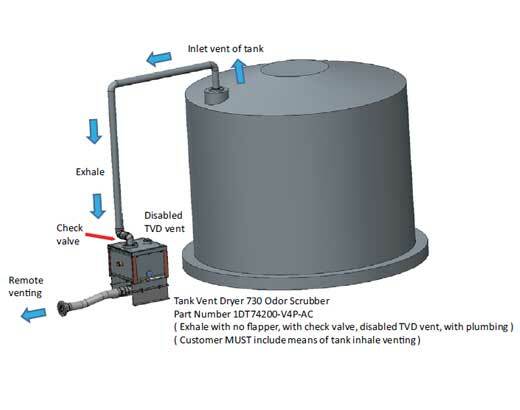 Instead of the air venting directly to atmosphere, you would put our Tank Vent Odor scrubber on the tank vent line, and the air would then be filtered through the Tank Vent Odor Scrubber providing clean air to be vented to atmosphere. 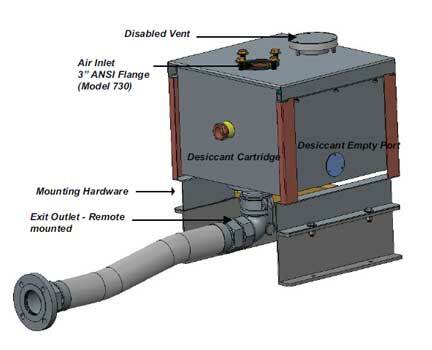 All of our Tank Vent Dryers and Scrubbers are made in the USA with the highest quality components. Each unit features a full 316L stainless steel construction, with viton o-rings and gaskets to ensure compatibility even with the harshest chemicals and fluids. 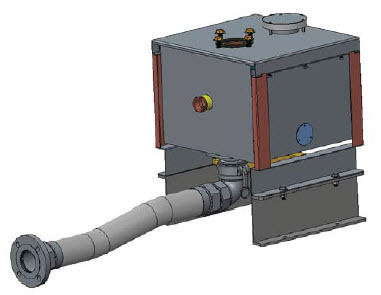 Each unit was designed to be easily REFILLABLE in the field with simple hand tools, and the end user never has to disconnect any of the vent tank piping. 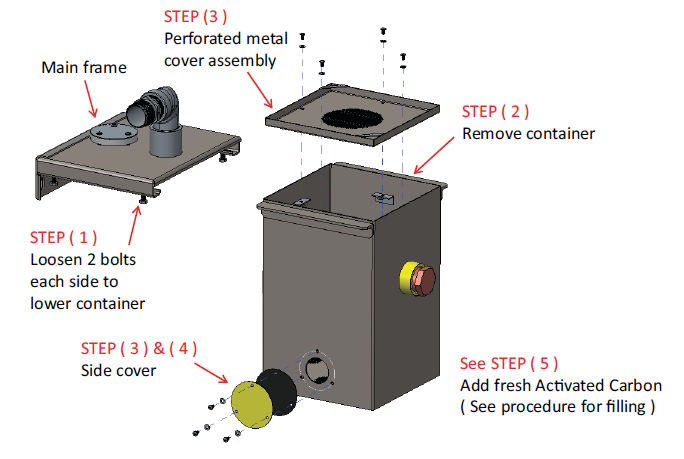 Simply, remove the mounting bolts from the evacuation port and dispose of the spent activated carbon, replace the evacuation port gasket, fasten the bolts, and then refill the unit with NEW activated carbon. Once this is complete, ensure all the bolts are fastened and gaskets sealed and the unit is ready to go back into operation. 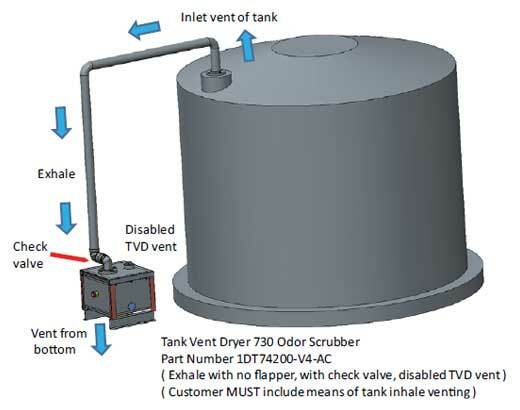 Please note: The Tank Vent Carbon Odor Scrubber DOES NOT have a visual color change indication to tell the user when the carbon should be replaced. Either replace the carbon when odors become present again, or based on maintenance interval deemed by Drytech and the client. Activated Carbon adsorbent – Activated carbon is used in various pore sizes to provide maximum odor protection and filtration of harmful hydrocarbons and other by products. 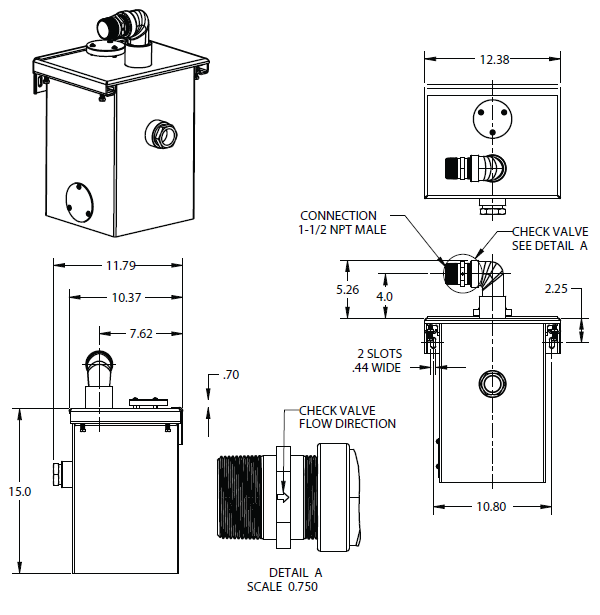 Valved Controlled Airflow – All tank vent dryers use a series of flapper valves to control the inflow and outflow of air. This maximizes the desiccant performance and prevents desiccant contamination during exhale from tanks or reservoirs. 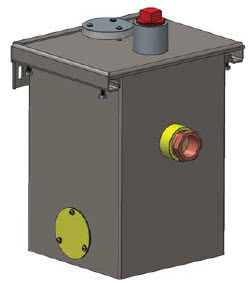 Robust Stainless Steel Construction – All Tank Vent Dryers are made of 316 stainless steel to withstand the elements and environment for decades. Viton O-Rings are also used for very harsh applications.